The other day as I listened to a radio program, the radio host was talking about a study of soccer (football) goalies. I found it fascinating so I decided to search the Internet to see if I could find the exact research. What I found was that a behavioral economist at Ben-Gurion University in Israel, Ofer Azar, conducted a study on the position that elite soccer goalies took when they guarded against a penalty kick after a foul. 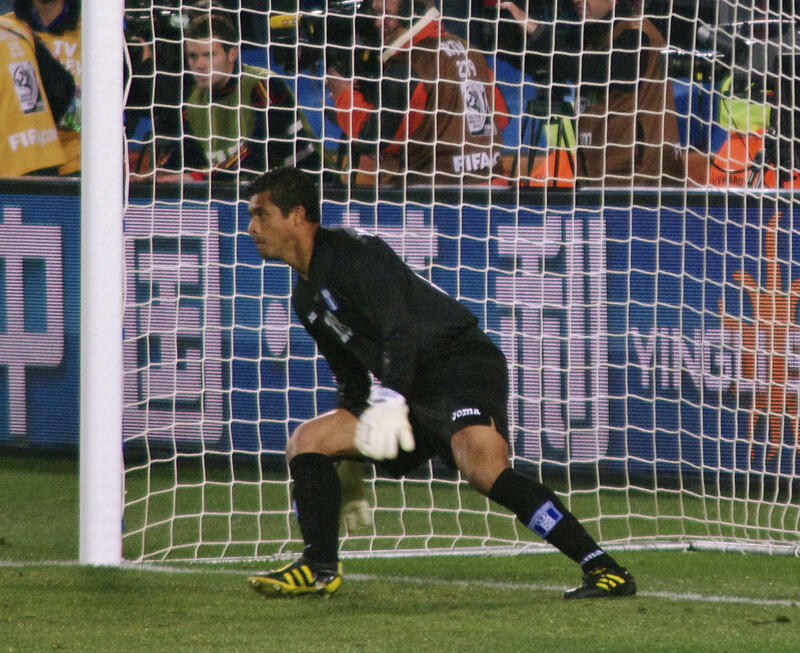 This type of penalty gives a designated player from the other team the opportunity to kick a ball 36 feet from the goal with only the goalie protecting the net. Statistically this is a high probability shot for the kicker because he is so close, with the width of the front of the net 24 feet from side-to-side. To stop the ball, the goalie has to decide before the penalty kick if he is going to stay in the center or move to the left or the right. Azar studied over 300 goaltenders to see what choice they would make. It is hard to stay centered. WHY CONDUCT SUCH A STUDY? Now you might be asking why was a behavioral economist studying the goaltending actions of soccer goalies? What Azar was really researching was why people make illogical choices. Even though the goalies knew that the better choice was to stay centered most chose to move to the left or right side. They did this because they would rather do something than nothing at all, even though it may not be the best choice. The goalies felt at least it looked like they were taking action. Why did this research interest me so much, because it sounds just like me! I am a Type A personality and I like to get things done. If there is a problem, I want to fix it right away, and in my mind, fixing it means I need to take immediate action. I have lived long enough to know that at times the best action is to do nothing and just stay centered. I cannot tell you how hard this is for me to do. What does it mean to stay centered when a problem occurs? I think a good example of what it means can be found in II Chronicles 20. In this chapter we read that Jehoshaphat, King of Judah, received a message that three different people-groups had formed a vast army to destroy Jehoshaphat and his kingdom. Now if that had been me, I would have immediately started taking visible action to prepare for war to give myself and other people confidence that I was doing something. Instead Jehoshaphat stayed centered in God. He asked his people to stand with him before the Lord and to pray and fast. God then directed the people of Judah to go to the battlefield and to sing and give God praise. As they did this the armies of their enemies began to turn against each other and Judah received the victory. The story of Jehoshaphat is a good reminder that the bigger the problem the more important it is to stay centered in God and to seek His wisdom before taking action. Caution, when you do this be ready for a surprise, because God might direct you to take action that seems antithetical to the situation (like singing and giving praise to God in the midst of a massive enemy army). As much as I admired Jehoshaphat for his choice, he ends up being just like me when it comes to being consistent at staying centered in God. One time I do a good job of seeking after God’s wisdom before I act and the next time I don’t. If you want to know what I mean read the ending of II Chronicles 20, verses 35-37 and see what happens when Jehoshaphat decided to take action without seeking God’s wisdom. Will we humans ever learn? Today’s Think Through: Today’s Think Through is a poll. The question is what best characterizes you? Be assured that if you respond I do not know who responded to the poll. I am off to Liberia, as usual, I will attempt to post bimonthly, but if I don’t it is because we are having trouble with the Internet. I hope you have a safe and pleasant trip! Made it in last night to the campus at 11 pm. Spent all day helping with registration. I have looked back at the times when I have been prompted to wait, but just move ahead anyway. I would save myself and others grief if I would just listen, but that seems to be another problems we Type A have:-). Hi Vicki: I just returned, last week, from a three-week to South Africa. I was very impressed with the people. Not only were they extremely nice, but some had a marvelous sense of humor. I would love to go back and explore other parts of Africa. I can see why you love Africa so much.